Shi Hongsheng, the first generation master of Shi Style Tongbei, learned his skill originally during the Daoguang Period of the Qing Dynasty (1821 - 1850) from Master Lu Yunqing. According to our group manual, Master Lu was a resident of Wei County of Shangdong where he owned a fur and leather business. He often traveled to Beijing for business and stayed in a fur and leather shop near Zengshou Si (temple) close to the Guangan Gate. Shi Hongsheng, an accountant for that shop, had attended very well to Lu when Lu once became ill at the shop. Lu was very moved by Shi's behavior so he wanted to teach him Tongbei in return. Shi, an able-bodied man who had studied some other hard style martial arts, was practicing one night when Lu came in and said to Shi, "your skill looks pretty good but the only problem is your force cannot reach very far." Shi did not know Lu was a great martial arts master, so he said, "if you do not believe my force can reach to you, you can try." When Shi attacked Lu, Lu used a quick defensive skill but did not counterattack. After several more attempts, Shi realized that Lu was much better than he was, and so he asked Lu to teach him. Lu already thought much of Shi for his previous kindness and so he taught him Tongbei. Shi practiced hard and became a high level master. For many years he did not teach anyone until he began keeping company with Zhang Wencheng. 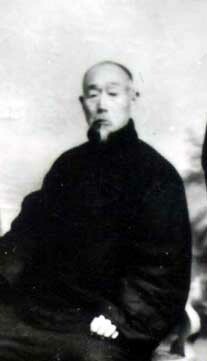 Zhang was a relative and an officer in the Beijing garrison already trained in the martial arts. Zhang learned through their conversations that Shi practiced some form of martial art, but he could not believe that Shi a mere store accountant, could possess any real skill. So they agreed to a friendly match. Shi followed the accepted traditional idea, which was to let Zhang attack him three times without a counterattack. After Zhang missed all three times, Shi used one attacking method and easily threw Zhang far away. Zhang realized Shi had great skills and asked Shi to teach him and was accepted as a disciple. Shi did not teach many other students though, due to his conservative nature. Eventually he did teach several other disciples. Of Shi's few disciples, only Zhang Wencheng and Ma Xiaohe passed on complete training system to a select few. One interesting aspect about Qi Style Tongbei lineage is that in the Qi Style group no one listed Lu Yunqing as Qi Xin's master. For this reason their lineage history starts from Qi Xin. As a result, no one in the Qi Style lineage today knows who Qi's master was. However, according to our Shi Style Tongbei family manual, Qi learned from Lu Yunqing. Other practitioners doubt this claim lacking further proof. In any case, based on the inherent principles and skills, it is clear that the two styles derived from a same source. It is less certain when they split into two distinct styles. Because of conservatism, even today it is very difficult to join a group, meaning becoming an indoor disciple to study the skill. Every master closes his doors and taught secretly inside of the room. It is not uncommon for most disciples to have spend long years learning and practicing the skills but never shown the true high-level skills. The masters always thought that the true high-level skills could only be passed to really good students who had good personality and morals. They had to be smart enough to understand the principles, but also diligent and disciplined enough to practice really hard. All of this limited the group from growing widely in size, but on the other hand contributed to the developed of its skills in depth. That in turn helped the groups maintain a good reputation, especially for real fighting. Starting in the 1910's, some Qi style masters began to teach Tongbei in public martial arts schools. Very soon Qi style became much more popular than Shi style. Today maybe more than ninety percent of Tongbei practitioners are in Qi style or its branches. But even as they taught the public, Qi Style masters still withheld some skills, most of them showing high-level skills only to a select few disciples in private classes. As Qi style became more popular, more forms were created for teaching purposes. Compared to Qi style, the Shi style group still kept the old way. So people usually call it Hei Quan or "Black Fist", which meant two meanings: One is that they practice in a dark place so that other people cannot see what they do; the other that they are too aggressive in fighting. Even today outsiders do not have a clear understanding of this style. Shi style masters remain as conservative as ever, refusing to divulge even the most general information like the lineage chart to martial arts scholars. Although Tongbei Quan was probably developed more than a thousand years ago, it was neither popular nor well-known in China until the 1800's because Tongbei masters before Qi Xin did not teach in public. Most groups practicing Tongbei did so by following the usual traditional idea of keeping everything in secret. This led to some criticism of the style by outsiders as being too conservative. Qi Xin was one of the first masters to teach Tongbei more openly. Qi Xin was said to be a resident of Zhejiang province but was apparently active throughout Hebei, Henan, Shanxi and Shandong provinces. During the time of Emperor Daoguang (Qing Dynasty, 1821 - 1850), Master Qi apparently got into some trouble with the local authorities in his hometown and fled to Guan County in Hebei province. There he hid and worked privately for the wealthy and powerful Yin family in the local township of Liulihe. During his stay with the Yin family, Master Qi did not make his martial arts skills known until the Du family, another powerful clan, fought the Yin family for the control of the local harbor business. Using a long staff, Qi soundly defeated many opponents in the Du family. As a result, he was hailed by many as a great master. He then was asked by many people to teach the art of Tongbei. Qi taught Tongbei and became very famous in doing so. Later his students brought Tongbei to the larger Northern cities, including Beijing and Tianjing. They won great reputation teaching, upholding challenges and achieved the ultimate recognition by others as Qi Style Tongbei. Qi Style Tongbei split into two styles called old Qi style (Lao Qi Pai) and young Qi style (Shao Qi Pai). 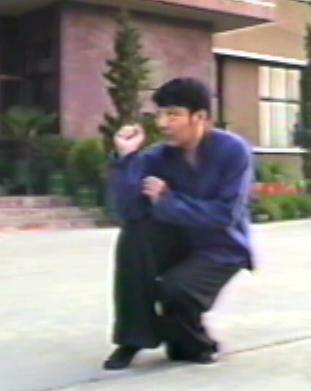 In the old Qi style, Qi Xin's original methods of training were maintained in which the movements are larger and harder. In the young Qi style, Qi Xin's son Qi Taichang's variation, the movements are softer and the skills are more detailed and fluid. Subsequently, additional branches were developed from each of these styles, including Wuxing (five element) Tongbei and Wuyuan (five ape) Tongbei. Today in Northern China, Qi style has spread widely and is quite influential in many places, especially the Beijing, Tianjing, and Hebei area. In Guan County where Qi Xin first started to teach Tongbei, there are still many practitioners of Tongbei. In Beijing and Tianjing, some third and fourth generation masters have started to teach Tongbei in public. In these cities, you can find many people practicing Tongbei, but interestingly, still only a few people know the complete training system. In early Twentieth Century, Xiu Jianchi went to Shenyang (northeast of Beijing) and taught Qi style there. He made many modifications and created many new forms. Since he used Wuxing (five element) concept to explain his style, people call this branch of Qi Style Wuxing Tongbei6. Today his group is very big and popular in Northeast China. The training in Shi style is very similar to other groups: the movements are usually large, but still smaller than in other styles. In fighting, however, the movements are smaller and more powerful than most other styles. The students were trained to pay attention to combining the hard and the soft, finding the correct balance. In fighting, you should keep relaxed and soft until you touch the opponent's body. It is said, "release the force only when you touch the clothes of the opponent". Getting superior internal force is also strongly emphasized. First, the students need to study how to relax and stretch the physical body. Second, make qi move smoothly and harmoniously. Only then do you practice how to release the force. The release of force should be quick and sudden. The whole body should be coordinated and integrated. The more relaxed the body, the more energy can be generated, and the more force released. In Shi style, many masters are known to be very vicious in real fighting. The basic idea is to use one attack to quickly finish the fight. For this reason, supplemental training such as iron arm, iron palm, etc, are also included as part of training. So when students study this hard skill, the masters also need to emphasis martial arts morals. It is taught that, "never fight until you definitely must fight". The groups would punish any student engaging in unnecessary fights. The Shi Style group, especially Zhang Wencheng's lineage, is more conservative than most other groups. Every master adheres to the traditional idea and usually keeps his group tight. It is very difficult for outside people to get any information from this group. Today a lot of martial arts history books have been published about other styles, yet no one really talks about Shi style. It does not mean there is no information within the group; it just means nobody can get information out of them. It is extremely difficult to join the group. But even inside of the group, some things are only passed to a few of the disciples. If a master thinks a particular student has no potential for greatness, he may not even want to teach this student at all. Today Shi Style remains willfully obscure as ever. Most practitioners of this style are in Beijing. Besides Zhang Wencheng and Ma Xiaohe, there are some masters in third and fourth generations who were famous. None of them ever taught in public, some not even in private. Today there aren't many people in Shi Style. Ma and his students made some changes and created some new skills and training methods. But in Zhang's lineage, people insisted that traditional things could not be altered. So there are a lot of differences between these two groups today, although their basic principles and most of their basic skills are identical. Basically in Ma's group, there are more forms. Amongst Zhang Wencheng's disciples, only Li Zhendong (1882 - 1977), Liu Baoming, and Ma Deshan were famous. Li Zhendong's nickname is Kuishou Hei Li quick hand black Li. He taught Tongbei in the army for several years. His best disciple is Li Shusen (1902 - 1975), whose nickname was Tie Gebo Li iron arm Li. Under Li Shusen, today Zhao Zeren, Gu Yun, Lu Shengli, Zhang Yun, and few others have inherited the skill. Some of Li Shusen's disciples also trained under Zhang Ruiqing who was Ma Deshan's disciple. Zhang Ruiqing was a highly skilled master but did not have any disciples. He and Li Shusen were very close friends, so he only taught some skills to some selected Li's disciples. 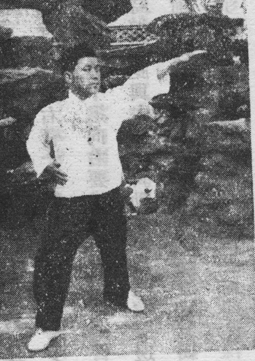 From 1989, Zhang Yun started to teach Tongbei in Unite States. Strider Clark is Zhang's first indoor disciple in US. Under Zhang Wencheng, today Yang Qishun's group is still active. Yang is Liu Baoming's disciple. So far Yang's disciple Sun Lixin is leader of the group. Ma Xiaohe was a Chinese Muslim. He became Shi's disciple when Shi was very old, so most of his skill he learned from his older gongfu brother Zhang Wencheng. Then Ma passed Tongbei to Nu Jie or "Ox Street", a Chinese Muslim neighborhood in Beijing. Later on this group became the biggest of Shi style Tongbei groups in Beijing. When the skills were passed to this group, they guarded its secrets even more so than the other groups. In the Ox Street area there are many people who practice Chinese wrestling also. As a result many throwing and grappling skills were mixed in with their Tongbei training. They also created some forms for practice. Zhang Shaosan was Ma Xiaohe's disciple. Wang Qicheng was the most famous disciple of Zhang's. Today Wang's disciple Zhang Guizeng leads this group. Zhang also studied with Li Zhendong and Li Shusen. In Shi style, everything is just for fighting. Anything else, no matter how beautiful or impressive in a demonstration, is considered unnecessary. It is said nothing that is unnecessary for fighting is in Shi Style Tongbei. In this group, especially under Zhang Wencheng's lineage, people are also against any change, modification, or reform. They only want to keep the traditional way, believing the older the better. Many of the masters think they should just keep the way they were taught and teach it that way to their students. Regardless of whether we think this is good or bad, it at least gives us an opportunity to see what the original Tongbei looks like. Liang Junbo was a famous Tongbei master. The style he passed is called Ruyi Tongbei. We do not know who his master was, however from comparing his principles and skills, it is very clear that it is a branach of Shi style Tongbei. One of Liang's disciple He Zhenfang passed this skill to Takeda Hiroshi (Wu Tian Xi) in 1920s. The first book about Tongbei available in China was written by Takeda and was published in 1936 by Shang Wu Yin Shua Gua (Business Press Company). Takeda was a Japanese student at Peking University since 1924 who studied Tongbei with He Zhenfeng for several years. Interestingly, although the content in certain portions of book are very clear, other parts are very puzzling and strange. Many believe the reason is that Master He did not really want to teach Takeda, and so he diverted the teaching on purpose. There is speculation that this happened because of the political situation between China and Japan at that time. Today Master Wang Peisheng is one of Liang's disciple and still actively practices and teaches this style. Wang lived next door of Liang when he was young, so from teenage years, Wang studied with Liang many years. One of the most famous of all Tongbei masters was Zhang Ce. He studied Qi Style Tongbei with Chen Qing and then with his older gungfu brother Wang Zhanchuan. He also studied Shi style with Han Dongyi. Later on he created his own style called Wuyuan (five apes) Tongbei. 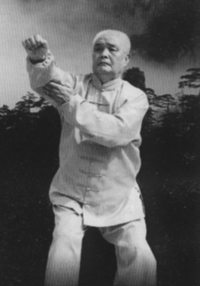 After studying Taiji Quan with Yang Jianhou, he created Tongbei Taiji. He won his great reputation from his many victories in real fighting. He was so respected that he was called Bei Sheng, or "Sage of Tongbei". Many people studied with him and his two cousins, but only few inherited his true skill. Since the 1950's Tongbei has been included in the China National Martial Arts Competition. Some people started to modify traditional movements and created some new demonstration forms. Based on Qi Style Tongbei, they made many movements larger, even added a lot of jumps. These forms are very beautiful but do not have the true essence of the traditional style. Because of the historical conservatism among groups of Tongbei practitioners, few of the core principles have been organized and recorded systematically. Communication among different Tongbei groups is usually rare. For these reasons, certain aspects of Tongbei Quan remain obscure and confusing and could easily be misunderstood by martial arts historians attempting to research these practices. For example, regarding designations, the full name of Shi Style Tongbei should be Shi Style Baiyuan Tongbei Quan, but it is usually referred to as just Baiyuan Tongbei Quan. Conversely, when one refers to Baiyuan Tongbei, this most often means Shi Style Tongbei. Usually only the inside practitioners refer to their style as Shi Style. The opposite is true for Qi Style Tongbei, which is designated as such and often down to the specific sub-style (e.g., Wuxing Tongbei). However, Qi Style insider practitioners often refer to their style using the full name of Qi Style Baiyuan Tongbei Quan. Since Qi style is the more popular Tongbei style, it is most often referred to simply as Tongbei Quan, whereas the Shi style, as indicated above, is referred to as Baiyuan Tongbei Quan. In addition, although Qi style and Shi style Tongbei came from the same source, each evolved differently over the years. 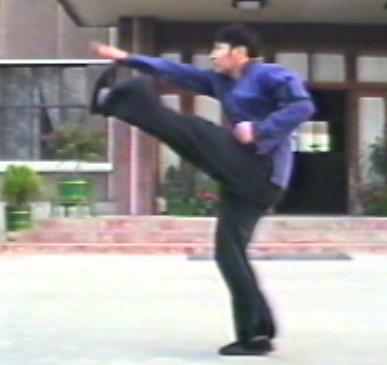 The basic training in Qi style involves 108 solo techniques, sometimes referred to as "taking apart skill" (Chai Quan). Major training in Shi style involves the twenty-four postures form, also referred to as "linking form" (Lian Quan). 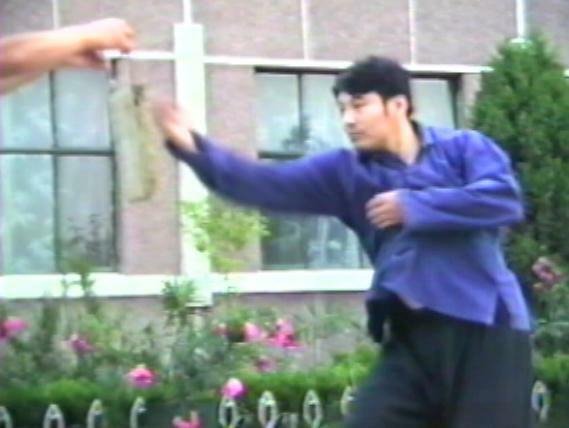 Thus, Chai Quan and Lian Quan have also been used to designate the respective Tongbei styles, but regardless of differences in fighting skills or training methods, both follow similar principles, as indicated in a translation of the related classical poem: "Chai Quan and Lian Quan all follow the same principle, they are not separate and distinct from each other, even though they have their own unique features."